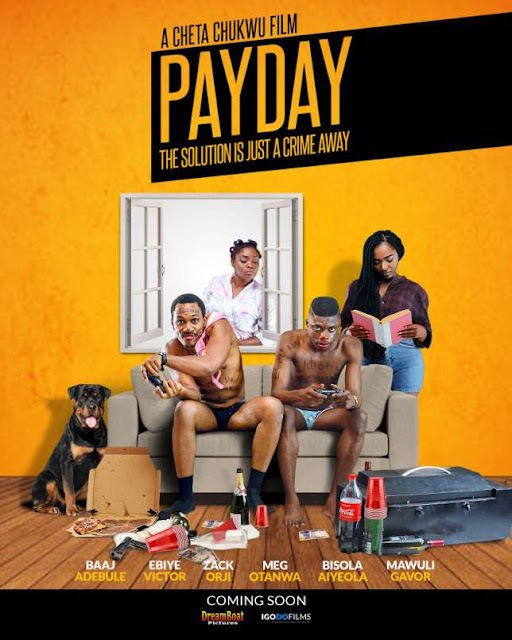 "Payday" follows theme story of two best friends and flatmates, Paul and Ortega, who just before they are about to renew their yearly rent, their Landlord dies very suddenly, and seemingly without any heir apparent. The young men seize upon the unfortunate but good opportunity to ‘enjoy’ a little. Starring Bisola Aiyeola, Baaj Adebule, Ebiye Victor, Mawuli Gavor, Frank Adekunle, Meg Otanwa and Zack Orji..